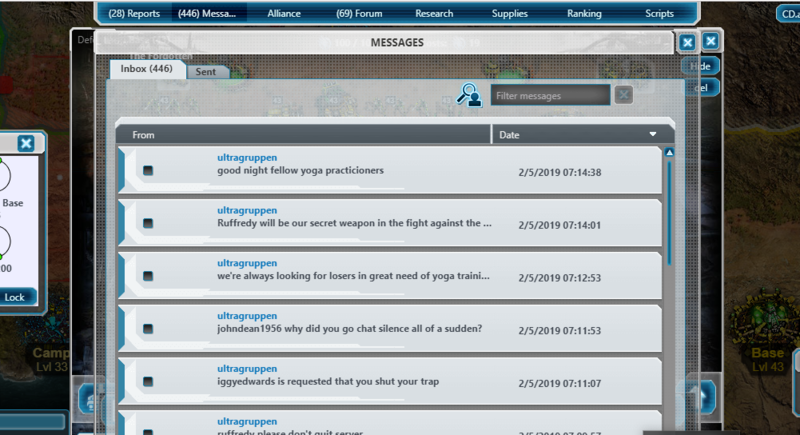 this is not a bot, that uses a type of script or program is separate, but as I say this is not a bot, it is a person, for which he has answered and apart he writes for the global chat of the firestrom 11, and as he says the companion of the previous post boasts of seeing the forum, if the admins of EA allows this, it is to leave this game and look for one where they respect the users, since we are the ones who feed them. Then how is he able to send spam at an alarmingly fast rate? You guys say he sends a spam chat once every 20 seconds. He must be using a script that changes the message each time it sends. It would considered a bot due to the fact that he won't need to change it. I bet his script has lots of text templates and that the script can mix and match the spam.
" Harass, threaten, embarrass, spam or do anything else to another player that is unwanted, such as: REPEATEDLY SENDING UNWANTED MESSAGES or making personal attacks or statements about race, sexual orientation, religion, heritage, etc." Relax, the new forums once had this issue. It seems that the spammers decided to move to worlds to **** players off. I would suggest that the dev team to immediately solve this issue on behalf of all the complaints. There used to be a spammer in the forums under various names. The Dev's must have tracked his location, upgraded their system and filtered off all his spam before he can even post it. Now it seems that the spammer moved directly in the Tiberium alliance worlds. Either that or the person's a different spammer. Also does the spammer sleep? it would seem that he sends messages 24/7 at a 20 second interval. He must have left behind a customizable script. > Relax, the new forums once had this issue. It seems that the spammers decided to move to worlds to **** players off. I would suggest that the dev team to immediately solve this issue on behalf of all the complaints. There used to be a spammer in the forums under various names. The Dev's must have tracked his location, upgraded their system and filtered off all his spam before he can even post it. Now it seems that the spammer moved directly in the Tiberium alliance worlds. Either that or the person's a different spammer. > Also does the spammer sleep? it would seem that he sends messages 24/7 at a 20 second interval. He must have left behind a customizable script. Well, it has been the weekend. Like it or not, there is no monitoring of the forum by the developers on a 24/7 basis or even 7/7 basis so the fact it has been on here for 48h means nothing. They are aware of the problem, hence the reply by @EE_Elephterion earlier in the thread. Keep reporting it here and to Customer services. The amount of complaints is possibly a factor in their response. We are well aware of the situation and 19.1 also contains some countermeasure against such spam. the support on the phone said they can do nothing without an email from this guy!!!! what should i think now about the security in this game??? for EA it must be possibel to kick this player and his acc´s with only the username or am i wrong thinking, because when not there is no security in this game! They always put the same excuses, which are not 24/7, if they have to be reported more times, if there are 20 users with the same problem because they do not do anything about it, what happens today is Tuesday they do not work either? Do not work on Mondays, or should you work? because with the money that the Funds charge us, they do not deverish or work, but at least they dever to give us a service in conditions and not precarious as what they are giving us, so many innovations, so much security so that there are no multi-account players, and the issue of substitutions, with the new patches, If you do not care for users, who will do Steam or Battlenet, that they do a job for their users, the minimum they say a bad word in a game you ban the account 3 days, and according to how the severity of life, why you here do not have this? because the more people spend their money here either with an account or with 20, they do not care just for their eagerness to raise is what moves them, and they answer us to 4 messages so that we shut up. And now they will answer me that they do everything possible, but we all know they do not do anything about it, and people will continue to complain, but a week will pass and we will continue in the same dilemma. Come You, some users have called customer attention and nothing, now they send me to the same place, go way to "drain the bulge", it is a shame. So we have the forums? What are you here for? they do not give solutions, they do not give clear answers, they only avoid what is clear, the precarious and shameful service they offer us. After the players say to the C & C: TA no longer plays anyone, that if there are missing players like before, normal people get tired, not receive anything in return, not even respect, which happens ONLY the players of the Fifa or Fornite, or other games have the right to a decent service ?, because we C & C players: TA, we also pay like others and we deserve the same. Does this seem normal to you? say every day like that, you can not, not even 9 hours have passed since you last deleted everything. It is not normal nor is it acceptable. You think EA may mistake all our complaints as spam? 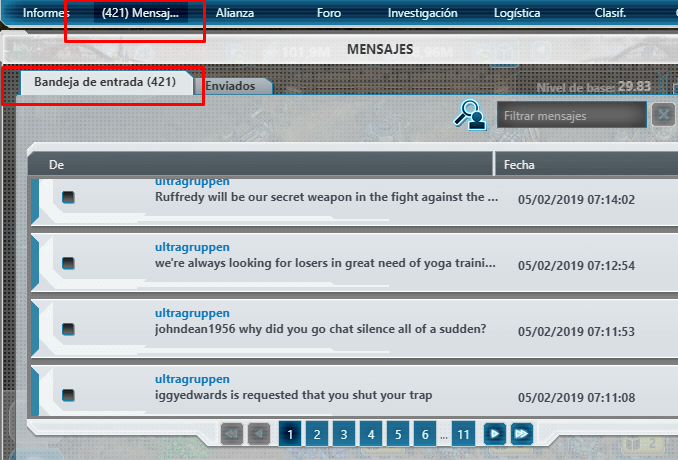 Gentlemen, of EA we have again the same problem with the massive messages, was not the problem solved? They had not banned this guy? It seems not. Do something once and for all.